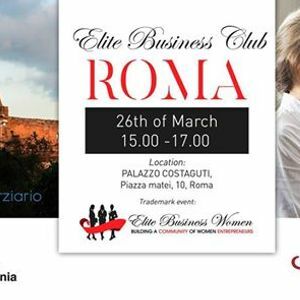 ELITE Business Women is a company for women entrepreneurs who's mission is to become a valuable tool in the development of the feminine entrepreneurship in Romania, but also at a global level, by encouraging and the inter mediation of partnerships with other countries. At the present moment we have a community of 8.000 entrepreneurs in Romania, UK, Portugal, Belgium, Italy. 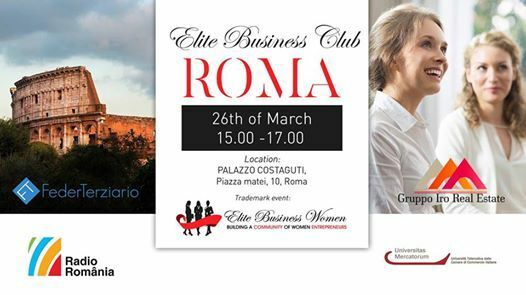 ***Elite Business Club is a workshop with 40-60 people, that addresses to both female and male entrepreneurs. ****What’s unique about Elite Business Club? We bring together business women / men, business mentors as guest speakers and entrepreneurs so that we create an effective know how to transfer between speakers and participants. **The event is an opportunity to promote your business, exercise our pitching sessions at the networking Panel, but most of all get to know best practices in business used by successful entrepreneurs invited as Speakers! We would be glad to count YOU among the participants, their number being limited.